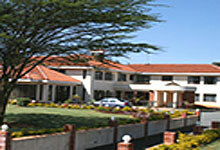 Karen Guest House Nairobi is located 15 kilometers from Nairobi city and boasts of 15 uniquely appointed and furnished bedrooms. These include two luxurious self catering apartments with a fully equipped kitchenette that will suit the needs of the diverse clientele. Airport transfer from Nairobi Jomo Kenyatta International airport or Wilson airport to Karen Guest House or trasfer from Karen Guest House to Nairobi Jomo Kenyatta International airport or Wilson airport.